Do you know all the benefits and impacts a reverse morgage could have? We recently discussed the fact that the Senate Panel is reviewing the practice of reverse mortgages and we received a number of inquiries from readers asking about more information on reverse mortgages and whether or not they should consider this avenue. We've summarized the overall gist of what reverse mortgages entail below. A reverse mortgage allows homeowners aged 62+ to convert the equity in their home into tax-free income without having to give up the title or sell their home. 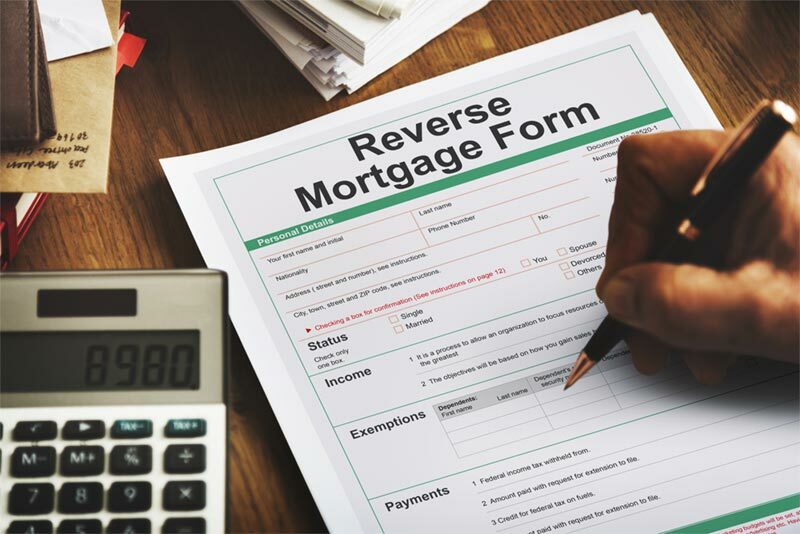 Unlike a traditional mortgage where the homeowner makes monthly payments to the lender, a reverse mortgage essentially "reverses" the scenario and the lender make payments to the owner. How Much Can I Get in a Reverse Mortgage? The amount of income you can receive from this type of program depends on a number of factors including age, appraised value of your home, interest rates and government lending limits. Seniors with more valuable homes tend to qualify for higher reverse payments, provided they do not still owe a large amount on their home. Can Homeowners Choose How to Get Money? Owners have the choice of taking the money as a lump sum, a fixed monthly payment, or a combination of the two. Owners must then pay interest only on the proceeds they receive. How Do Homeowners Qualify for Reverse Mortgages? The tax consequences affecting the prospective borrower and the impact on their estate and on their heirs. Do I Need to Pay Taxes & Insurance on a Reverse Mortgage? Once you obtain a reverse mortgage you must still pay property tax and insurance. If you are not able to pay your property taxes and insurance, you must set aside a certain portion of your reverse mortgage to cover these costs. When Does Repayment of a Reverse Mortgage Happen? Repayment of the loan occurs when you or your spouse permanently vacate the home. At that time, you or your heirs must complete the payback of the loan using private funds or through the sale of the property. Upon repayment of the loan, all remaining proceeds from the sale of the home go to you or your estate. The reverse mortgage industry has many safeguards mandated by law that reassures borrowers that they retain their rights as the homeowner and will not put themselves, their home or their family at financial risk. These safeguards include capped interest rates, limitation on fees, no maturity dates, no prepayment penalties, asset protection (amount loaned can never be more than the value of the home), and no shared appreciation (preventing lenders from taking value out of future appreciation on the home). Who Shouldn't Do a Reverse Mortgage? It would seem that with all these protections in place, the recently convened Senate Special Committee on Aging has little to discuss regarding new safeguards in this growing industry. Still, reverse mortgages are not right for everyone and the proponents of the Senate session want to be sure that prospective borrowers do not fall into a trap of getting a mortgage that is not in their best financial interest. People who intend to leave their home within two-or-three years should avoid a reverse mortgage. This is due to the upfront costs associated with a reverse mortgage that may make other options such as a traditional home equity loan a less expensive option. Also, people who want to leave their home to their children should avoid getting a reverse mortgage since the repayment of the loan will likely consume the proceeds from the sale of the property. Finally, borrowers must carefully consider the increasing life expectancy in our country. Many borrowers wrongly assume that proceeds from a reverse mortgage will last until their death. While it is great that people are living longer, an ill-planned reverse mortgage could mean running out of money or equity precisely when people need it most. For people who do not fall into the situations listed above, a reverse mortgage can be a great way to subsidize retirement expenses long after their working income ceases. A reverse mortgage can allow borrowers the ability to fund a lifestyle they otherwise wouldn't be able to afford. But if you do decide to obtain a reverse mortgage, be certain that you have done your homework and explored all of your options.